Unai Emery has used the combination of Granit Xhaka and Matteo Guendouzi in all of Arsenal’s matches this season but here’s why it will never work. Matteo Guendouzi has started all of Arsenal’s first five Premier League matches and the youngster has been partnered up with Granit Xhaka in the midfield in all matches starting from their first loss against Manchester City. 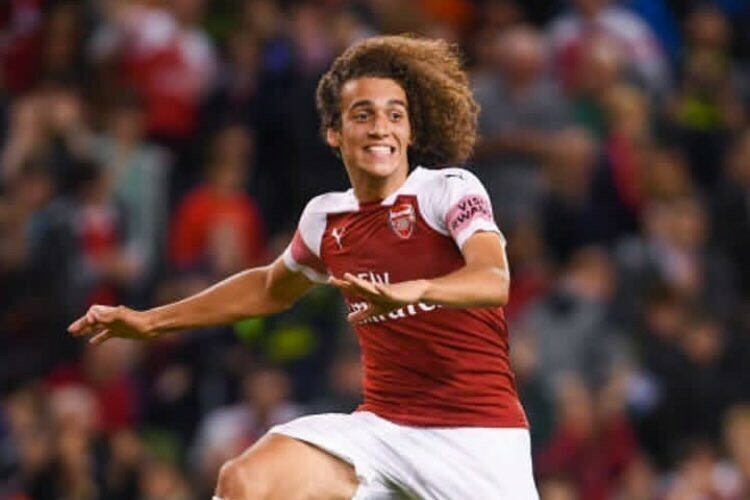 Matteo Guendouzi is an extraordinary midfielder who has surprised many with his impressive performances yet he is just a young player who was playing in the French Ligue 2 and Unai Emery has trusted him so much that he has included him in the starting eleven in all of Arsenal’s matches this season. But the truth is that Matteo Guendouzi and Granit Xhaka being paired will never work because the two players are kind of similar, one of them is supposed to be a defensive midfielder who helps out the centre backs when the opponent attacks but they all like going forward hence leaving the defence helpless. This can be a big problem to Unai Emery because if his team is facing a strong club which has pacy attacking midfielders then they would easily dominate through the midfield of Arsenal when both Granit Xhaka and Matteo Guendouzi are on the pitch. It is quite clear that the gunners are usually far better and stable in midfield when Xhaka is paired with Lucas Torreira. Matteo Guendouzi is a future Arsenal star but the young Frenchman should be used in the Europa League or Carabao Cup for now because starting him with Granit Xhaka in Premier League is a bad idea, Unai Emery did notice this in Newcastle United’s match because he substituted him at the start of the second half. When Lucas Torreira came into the Newcastle United match in place of Matteo Guendouzi, we finally saw Xhaka play with freedom because he usually likes to attack, and he this time knew that Lucas Torreira was behind him, giving him cover if they lose the ball when in the final third. So it will be interesting to see whether Lucas Torreira and Granit Xhaka will be in the starting eleven in their next Premier League match, it’s all left to Unai Emery to make the decision! Guendouzi is a young player that has not played a competitive football like torreira he has not got much experience so far xhaka and torreira’s combination is perfect because both of them can’t attack at the same time.